Hello, Doodlebug fans. 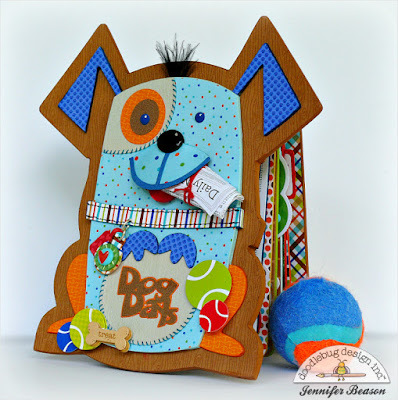 Jennifer here and today it's my turn to share my Puppy Love project with you. Last year my family and I welcomed a Bichon Frise puppy into our home and hearts. 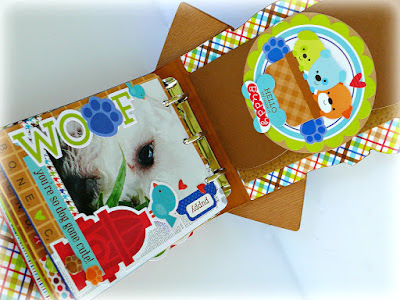 Of course, I have taken tons of pictures of him since then and decided to showcase a few of them in this fun mini album. I started out with a chipboard, 3 ring binder for the main part of the album. 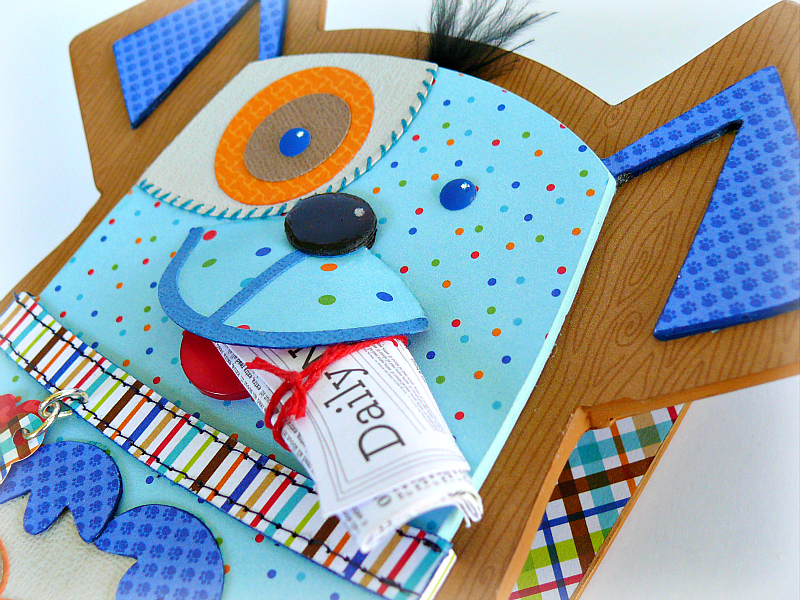 Then I added the chipboard puppy to the front, which was cut using my Silhouette. 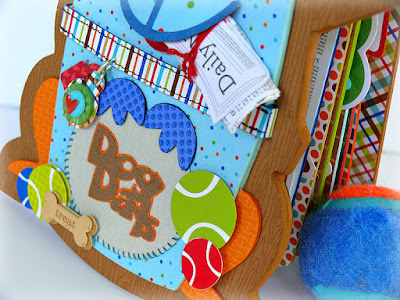 The file for the dog can be found here. I did distort the puppy slightly to accommodate the narrowness of the album. The dog was then covered with patterned paper and cardstock. 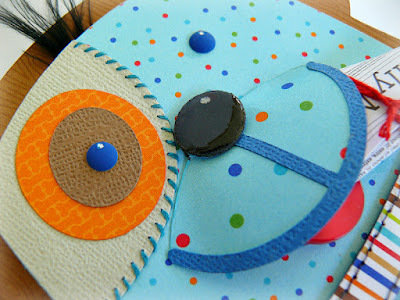 I then stitched around his eye, tummy and on his collar. For a nice "wet look" on his nose, a little crystal lacquer was applied. A newspaper from the Odds and Ends package was added to some rolled up patterned paper, then placed in the dog's mouth. A boutique button was used for the tongue. 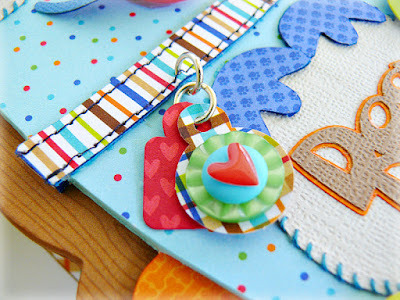 Mini tags from the collection were attached to the collar with jump rings, and one was embellished with a button and sprinkles. Tennis balls and treat stickers were then placed on the lower half of the album. 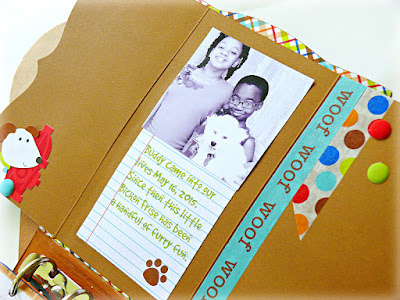 On the inside cover of the album, a tri-fold card was used to hold some journaling. Here are all the pages inside the album. OMGoodness....this is just adorable! 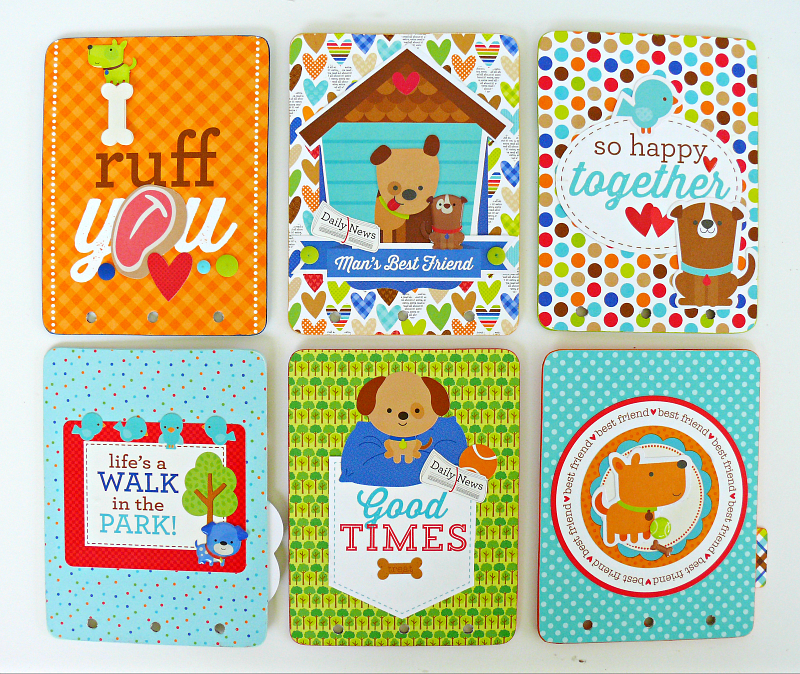 Love that puppy shaped cover! What amazing job Jennifer!!! Love it!!! This is sooo perfect!! I adore the cover!! I always look forward to your next project Jennifer. This one is adorable. I love the stitching and the newspaper. Cute photos too. Thanks for sharing. Hugs, Kathy. INCREDIBLY AWESOME!!! WOW! Your projects are always so creative and brilliant. 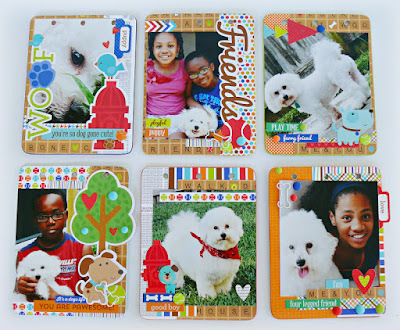 What dog lover wouldn't love to have this adorable album to show off pictures of their sweet four legged family member!?! Your attention to detail is impeccable...the newspaper, the stitched collar, the dog tag...you definitely created a masterpiece with this bright, cheerful and fun collection! 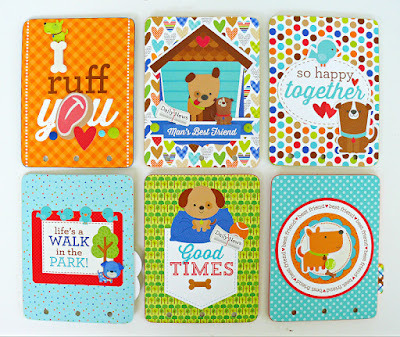 This is the cutest mini album I have ever seen! Love it! !